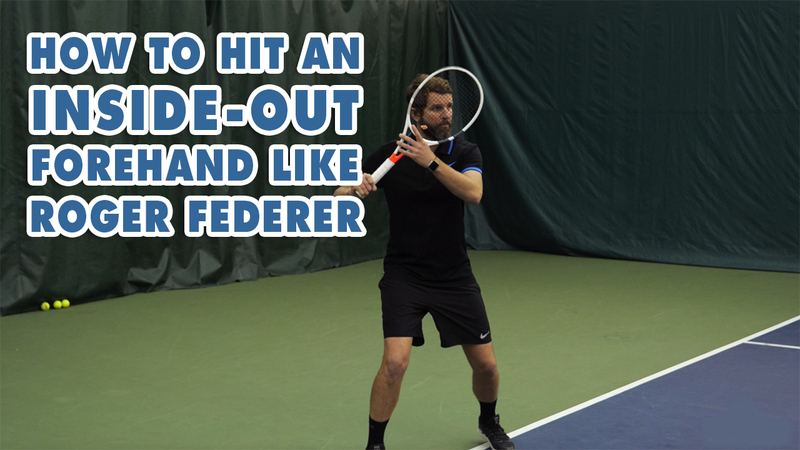 Today we show you how to hit your inside-out forehand like Roger Federer. This video is for players with a PlayYourCourt rating of 80 and up. – [Scott] Hey guys, Scott and Nate from PlayYourCourt.com and today we’re going to show you how to hit your inside-out forehand like Roger Federer. So today we’re talking about how to hit your inside-out forehand like Roger Federer. To be clear, this video is for advanced level players, we’re talking players with a PlayYourCourt rating of 80 and up. If you’re not in our community or familiar with our rating system, this is a USTA 4.5 and above. So Nate is going to take the reigns here and show us how to hit our inside-out forehand like Roger Federer. – [Nate] Alright guys. So we’re talking about the Roger Federer inside-out, inside-in forehand, and this is a bad boy. This is Federer’s premier shot, anytime he’s jammed and getting moved to the left this is the ball he’s just rippin’ into the corner. And is it advanced. It’s a very difficult move. But the footwork that enables this to happen isn’t quite as complicated as it works. Here’s the real difference, is that with most of our inside-out, inside-in forehands we’re moving circular. We’re moving out from the ball and up. So whether we’re hitting open stance or if we’re hitting off our front foot to drive, we still need space to get away. But not ‘Fed. So what ‘Fed is doing is, he’s taking a move to his left with his left foot, and using the movement of his weight falling backwards, and then opening the hips to create this forehand. So what he’s doing is, he’s actually allowing the ball to tuck in. And this is a ball that’s being struck relatively big. I don’t know that he has any other choice. But with ball being able to tuck in, he’s able to work away and use this lift-land method. Alright and I know there’s multiple times that we’ve covered or talked about Roger Federer’s lift-land. And a lot of times its about approaching the net. On this particular situation, it’s about the inside-out, inside-in forehand. So the move with the left foot as he takes the racket back, he pushes off the left and lands on the left. As you can see, the right foot works up because the momentum working through it. It’s just the left foot pulsing through the ground and pushing away to create this inside-out, inside-in forehand. Really difficult, but I think with a little bit of practice and a drill, you’re gonna be able to make this successful. We’re gonna show you that drill now. Alright guys so Scott and I are back at the baseline, and we’re going to practice this Roger Federer lift-land inside-out forehand. And what’s important about this drill is that, I’ve got to create an environment in where Scott is getting jammed, and he’s fighting the ball away from him, off of his hips. So you can do it off a return a serve, you can do it while hitting. But we’re going to make this a very controlled environment where I can duplicate it as many times as I need to, and see if it’s being done correctly if I’m working with a student. We’ll take a look at that now. – [Scott] So guys as you probably saw there, Nate is taking all of my time away in this drill, and the reason for that is cause we’re not going to do this move if we’ve got plenty of time to plant our feet and hit an inside-out forehand. When you’re hitting a return a serve, when someone is really blasting a ball at you that you want to hit as an inside-out forehand but there’s not a lot of time, that’s when you’re going to use this lift-land method. – [Nate] Yeah and guys it seems complicated, but I don’t know this is something Federer was taught, I think it’s just something that athletically he figured out, much like many other players do. I don’t that you were ever taught that method, I don’t know that I was ever taught that method. – [Scott] It comes out of necessity. – [Nate] Out of necessity, a little bit of survival, but in order to implement it to your game, to simply focus from getting turned and getting that first step to the left foot, and then it’s okay if the ball was pulling in a little bit. If it’s a little behind you, that’s even okay too. That’s what helps us spread the angle to the inside-out. But the important key here it that, as I take the first step as a righty with my left foot, I’m also landing with the left foot. I’m not trying to take too many steps here, alright? This is a one step method that efficiently fights the ball off to create massive offense. – [Scott] Absolutely. 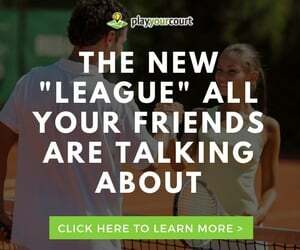 And guys at PlayYourCourt, we just want to help you improve your game. 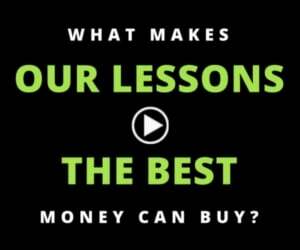 This video, admittedly, is way more advanced, it’s for the higher level players. We’d love to know a little more about your game so we can send you some custom video coaching based on your specific skill level. So do us a favor, click the button or the link below, answer some questions for us, we’ll then send you some custom video coaching based on your skill level. Just click the button or the link below and we’ll do the rest.